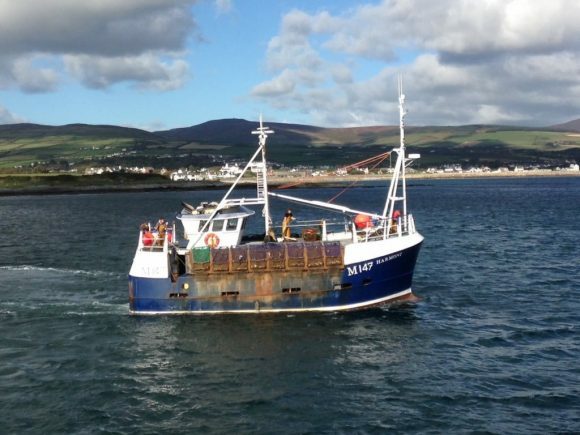 The Welsh Fishermen’s Association (WFA) has welcomed the Welsh Government’s ‘positive direction’ on the future of the scallop fishery industry in Cardigan Bay. The WFA’s response follows the announcement today (Monday) by Cabinet Secretary for Environment and Rural Affairs, Lesley Griffiths of the result of consultation into new management measures for scallop fishing in the Bay. The decision marks the culmination of a huge amount of collaboration and input by key stakeholders from industry, government, Natural Resources Wales (NRW), the Seafish Industry Authority and academia to support the sustainable management of an important fishery in Wales. The consultation attracted attention from environmental groups and campaigners, which led to a huge amount of interest being generated and a co-ordinated campaign to oppose the fishing for scallop in Cardigan Bay. Mr Evans continued, “We knew that the scientific evidence base for the proposals would be critical to support decision making, and world leading research undertaken by Bangor University demonstrated the recovery and resilience of seabed areas from scallop fishing. 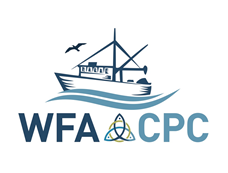 The WFA commissioned MRAG Consultants to undertake a pre-assessment of the scallop fishery in Cardigan Bay, bench-marking it against the principles of Marine Stewardship Council standards. The study confirmed that sustainability of the fishery could be achieved within the context of the proposed new measures for the Cardigan Bay Scallop fishery. The scallop consultation outcome follows the launch of the Seafood Strategy for Wales on the 13th of October by the Cabinet Secretary. Alongside other shellfish landed in Cardigan Bay, scallop is an important species supporting the seasonal variations of fisheries in Wales and the Welsh seafood offer. In an environment of UK transition from the European Union, the WFA believes the decision by the Welsh Government is a strong endorsement of evidence-based measures that support marine conservation, while supporting fishing families and communities who are at the centre of a vibrant and sustainable seafood sector in Wales. All of which contribute to the goals of the Welsh Government’s ‘Well Being of Future Generations Act’. Fisherman Mark Roberts operates the scallop vessel Harmoni from Pwllheli. Welsh Fishermen’s Association is recognised as the national body representing the interests of the fishing industry in Wales, managed by a board of directors from regional associations. Fishing for King Scallop in Welsh marine waters, where there was a marked increase in activity during the 2000’s, coupled with designation of the Special Area of Conservation (SAC) in Cardigan Bay led to stringent management measures being put in place by the Welsh Government. A Welsh Scallop Strategy Group was formed to look into the possibility of developing a new evidence based management regime for the species in the Bay, with input from multiple stakeholders. The announcement following the consultation will allow for the continuation of scallop fishing in Cardigan Bay, but working towards more sustainable management measures in the long term.